This is my most recent experience with Kaka‘ako Waterfront Park in Honolulu: last year, my son participated in the Children and Youth Day Fun Run. The view of the ocean was amazing and the path between the grassy, rolling lawns was relaxing, but we stuck to the sidewalks and didn’t linger at the park. Most of the other parents quickly left after the run too. Why didn’t we stay to enjoy the park? To encourage people to visit Kaka‘ako, the Hawaii Community Development Authority (HCDA) has proposed a Master Plan for renovating the Kaka‘ako Makai Parks, which includes the Kaka‘ako Gateway Park, the Kaka‘ako Waterfront Park, and Kewalo Basin Park. 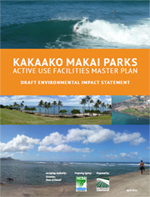 Earlier this month, HCDA released the Kaka‘ako Makai Parks Active Use Facilities Master, a draft Environmental Impact Statement (dated April 27, 2016) to transform the Kaka‘ako Makai Parks into activity-filled community spaces. With a goal of “sustainable, re-energized, active uses and enhanced gathering places,” the Master Plan proposes park improvements in a phased approach. The HCDA envisions an entryway plaza and water feature, a “Lei of Green” connecting the Waterfront Park to Kewalo Basic Park, a sports complex with sand volleyball courts and bleachers and a gymnasium, a rain garden, a beach hale, a keiki zone, an adventure zone, food concessions, a biergarten, a community center, and a re-located the amphitheatre. It’s an ambitious project, and there are three fundamental questions to answer: Do we need it? Can we afford it? and Can we maintain it? Let’s take a moment to consider these questions. 1. Do we need it? HCDA thinks that we do, citing that “the population of the Kaka‘ako Mauka Area is expected to double to 30,000 people as a result of the continued build out of the area” (page 2), combined with the belief that a “lack of attractions” is one of the reasons that the Kaka‘ako Makai Parks is currently unused (page 29). In my opinion: We don’t need a theme park with a lot of amenities. Instead, we need to focus on two basic improvements: safety (how safe do we feel at the park?) and visibility (can we can see the people around us, or are people lurking around the corner?). With more construction and more people in Kaka‘ako, I think we need to preserve our open spaces. 2. Can we afford it? All of these improvements would cost a lot of money, and the Master Plan highlights only the biggest expenditures: $24.5 million for a sports complex, $16.7 million to re-locate the amphitheatre, $1.8 million for parking re-location, $1.3 million for a biergarten, $178 thousand for a food truck concession area. In my opinion: We may be able to afford basic improvements for comfort stations, re-landscaping the grassy mounds, exercise and play areas, and a food truck concession area; but everything else is up for debate. This is a public works project for good economic times; right now, I don’t think we have the money for the improvements, and I doubt that the amenities would be used as often as projected. 3. Can we maintain it? HCDA believes that the sports complex, amphitheatre, biergarten, and food trucks will operate at a profit. The Master Plan estimates that Kaka‘ako Makai Parks will earn more revenue that it will spend on operations, with a total projected annual net operating income of $388,000. In my opinion: The projected income from the food truck concession, $73,000, may be reasonable, but the rest of the income projections seem overly-optimistic. If the multi-million dollar Hawai‘i Convention Center is still operating at a loss after 20 years, and is not projected to break even until 2018 (Honolulu Star-Advertiser, “Tourism authority still in debt $317M for convention center,” January 18, 2016), it seems over-confident to assume that the sports complex, amphitheatre, and biergarten, with their higher operating costs, can immediately turn a profit. * No plan for security. While acknowledging that “In recent years, the Kaka‘ako Makai Area has experienced an influx of homeless individuals and families” (page 2), there is no plan to address the homeless and no plan for increased security. * There really are more alternatives. HCDA presents us with two options, no action or an outdated 2011 Conceptual Plan. This sets up a false dilemma. In fact, there are more alternatives, such as accepting only select portions of the 2016 Master Plan. * Who really benefits? The truth is revealed:“The Master Plan improvements are expected to contribute to enhanced property values of commercial and residential properties located mauka in the Kaka‘ako Makai Parks” (page 26). Not only do the park improvements benefit homeowners and property owners, it benefits the city through higher property taxes. * Privacy please. The 2016 Master Plan includes the names and contact information (addresses, telephone numbers, and email) from community events. Contact information should have been blocked out to protect the attendees’ privacy. What is your vision for Kaka‘ako? 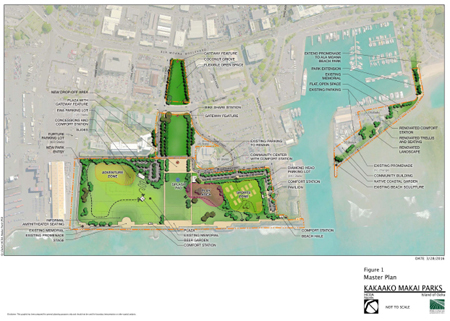 What do you think of the Kaka‘ako Makai Parks Master Plan? This summer, don’t get left on the beach or in the sidelines. 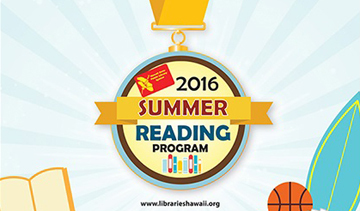 Challenge yourself to the sport of reading with two summer reading programs in Hawaii. * Children, teens, and adults can get fit with books during the Hawaii State Public Libraries Summer Reading Program, which runs from June 5 through July 16, 2016. Registration begins on May 31. 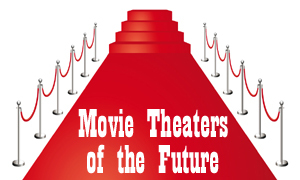 Everyone can read books, fill out a book list, and return to the library to pick up a prize. This year’s theme is all about fitness, and libraries are hosting various events to strengthen our bodies and minds – like the “Get Moving with Ronald McDonald show. Your brain is like a muscle – exercise it! Reading books can warm-up your imagination, strengthen your memory, build your concentration, and give your problem-solving skills a workout. * Children in grades 1-6 can earn a free book in Barnes and Noble’s “Summer Reading Triathlon.” Between May 17 and September 6, 2016, kids need to read at least three books, fill out a Reading Journal, and choose a book from the book list. To encourage kids to think of reading as a sport, one that takes practice and commitment, the Summer Reading Triathlon asks readers about a book that made you read faster (sprint), the longest book you have read (marathon), the series in which you have read the most books (weight lifting), and a book that made you stretch your imagination (gymnastics). There’s a Barnes and Noble in Honolulu, Oahu and Lahaina, Maui. Enter the knock-out round with a free printable activity kit that helps kids identify their favorite authors and illustrators, differentiate between fiction and nonfiction books, compare historical or fictional people who have faced challenges, and imagine a new sporting event. You can even create your own reading triathlon. Read biographies about a famous swimmer like Duke Kahanamoku; a leading cyclist like Lance Armstrong; and a prominent runner like Florence “Flo-Jo” Griffith Joyner. I challenge all of you to keep your mind and eyes in shape! What will you read this summer? Sometimes we fall into a routine and don’t realize it. If it works, then everything is great. 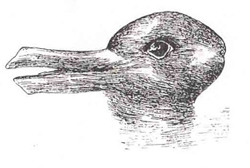 But if it doesn’t work, we often continue to do the same thing every day, and wonder why things don’t change – until someone asks us to look at things in a different way – to see things from a different angle. In 1997, Apple Computer challenged us to “Think Different” with an iconic ad campaign that featured prominent historical figures in print and a stunning “1984” television commercial. * See personal health differently: Instead of losing weight, commit to gaining health. “Americans by nature don’t want to lose but to win,” Mike Huckabee wrote in “A Simple Government: Twelve Things We Really Need from Washington (and a Trillion That We Don’t)” (2011). A book on politics may be an odd place to find suggestions about healthy living, but maybe that’s why his idea stuck with me. We need to change our mindsets to gaining health and winning a healthy weight. * See cleaning differently: Instead of throwing things away, choose what you want to keep. Most of us don’t like doing housework or chores. It’s easier to set things aside and decide what to do with them later, which can lead to a messy home and a cluttered workplace. 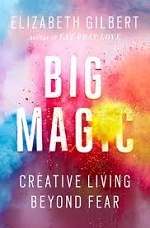 “Choose what you want to keep, not what you want to get rid of,” advises Marie Kondo in “The Life-Changing Magic of Tidying Up: The Japanese Art of Decluttering and Organizing” (2014). A few months ago, I sorted through all of the “stuff” that was cluttering up my life, and chose what to keep. I actually felt happy discarding things, because most of the things that I keep today come with memories or meaning (or are required by law, like tax returns; or peace of mind, like statements and receipts). * See education differently: Instead of improving the world, start by improving your children. “The goal isn’t to leave a better world for your kids, it’s to leave better kids for the world,” Salman Khan said (I’m not sure if he actually said it, but someone credited him with it, and why not the founder of the Khan Academy?). The goal is the same – living in a better world. But the focus shifts from making the world better for future generations as a gift, to teaching future generations to make the world better as a responsibility. In every generation, children and youth have the most to gain and the least to lose by changing the world. My 9-year old son comes home from school with reminders to recycle, to save electricity, to wear our seatbelts, to drive the speed limit. We can make the world better one person at a time. What can you look at differently in your life? How can you change your thinking? For National Teacher Day on May 3, he wrote an acrostic poem for his teacher using the letters of her name. Usually I would encourage him to use adjectives, but for this poem I asked him to write about school activities that he enjoyed or specific examples of ways in his teacher was “awesome.” It was a nice way to work a little poetry into his everyday life. Today and all week long, celebrate the inspirational teachers in your life during Teacher Appreciation Week, May 2-6, 2016. Celebrate teachers outside the classroom too – coaches, mentors, tutors, parents, grandparents, aunts and uncles, babysitters. Share a memory, a story, or a photo on social media with the hashtag #ThankATeacher. How will you honor the teachers in your life? If you are a teacher or coach, what is the most memorable appreciation that you received? You are currently browsing the Better Hawaii weblog archives for May 2016.